Designed by Héctor Serrano Desktructure is a modular desk organizer. The fine white porcelain pieces include pen and pencil cups, open containers and small boxes, perfect for loose stamps, paperclips, erasers and USB keys. 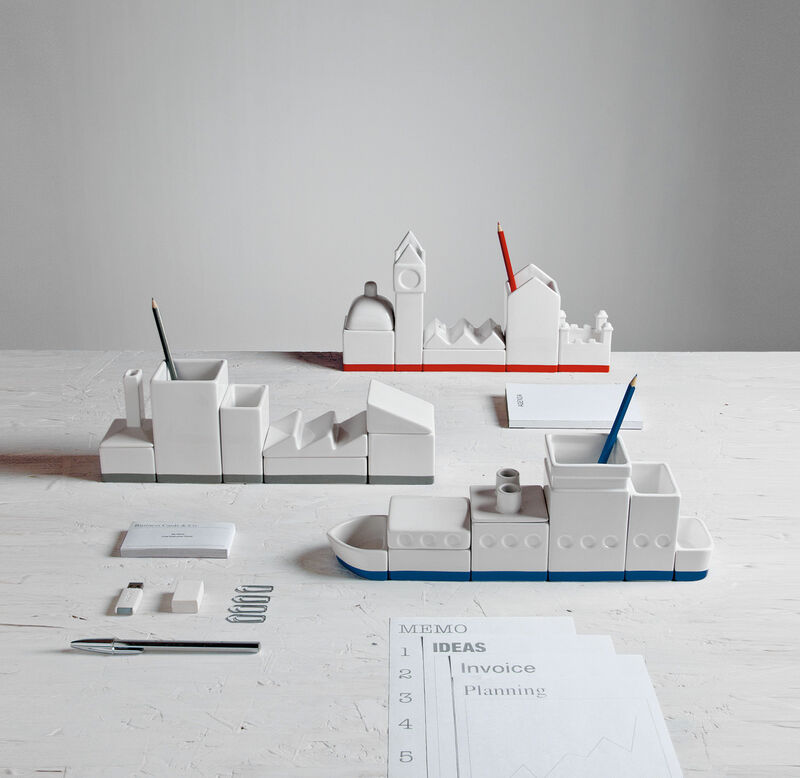 Put together the individual pieces form a warehouse, a ship and a city, each with a touch of color on the bottom.